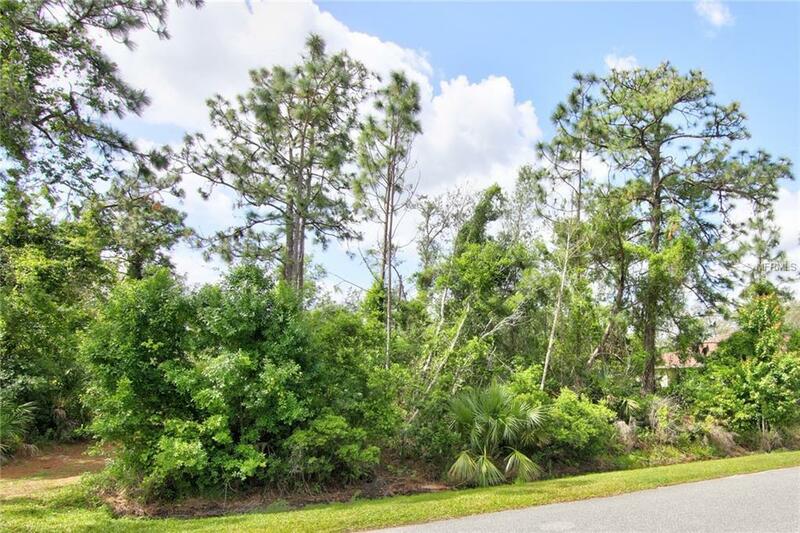 One of the few remaining residential building lots in 24/7 staffed-gated Spruce Creek Fly-In, this vacant land is located in the heart of this friendly community. Build the home of your choice using the builder of your choice on this nice lot. Spruce Creek offers parks, a public restaurant, hair salon, spa and other business services, social clubs and community festivals. There is an optional membership country club with exercise, tennis, pickleball, pool and golf facilities and a private restaurant. Its close to shopping, restaurants, great schools, NASCAR and Embry-Riddle Aeronautical University. It is a quick trip to the Atlantic Ocean beaches and about 70 miles to the Orlando attraction area. Spruce Creek has a private 4,000-foot paved runway, paved taxiways, a GPS approach and aviation fuel. Homeowner association and Volusia County approval of building plans is required.